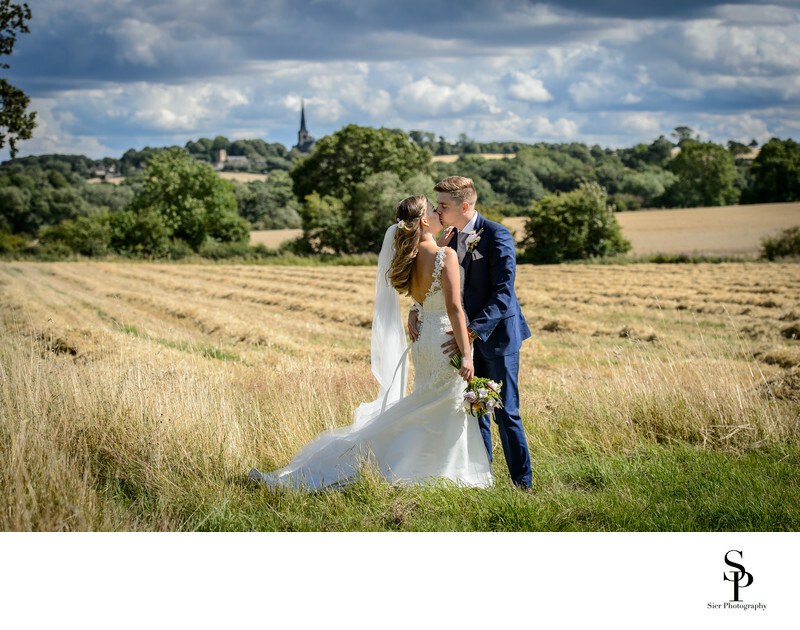 One of our favourite images from 2017 from a wedding at Holy Trinity Church in Wentworth Village, South Yorkshire. This was the first time we had been to this magnificent church and what a pleasant surprise! 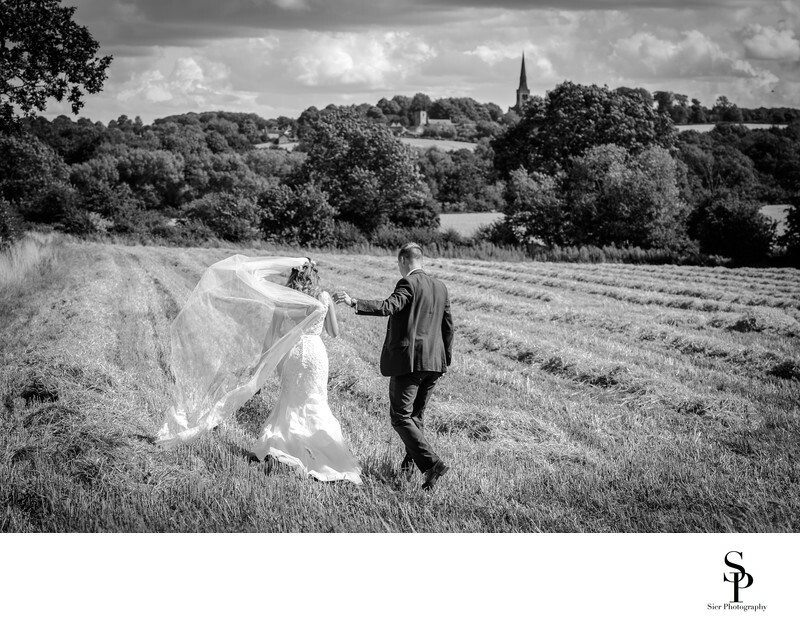 In this image taken on the outskirts of Wentworth Village shortly after their wedding with the spire of Holy Trinity Church clearly visible above the tree adding an extra element to tie the image and the day together. 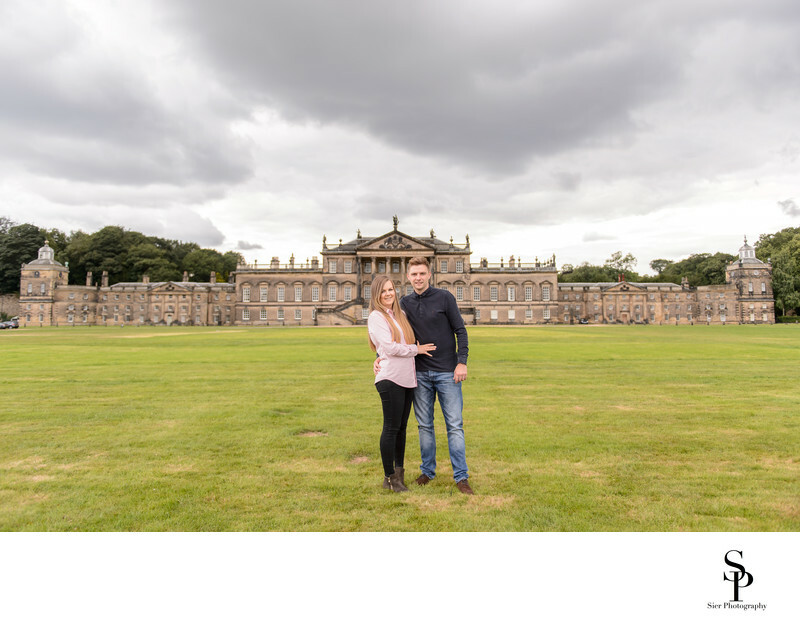 The wedding itself was wonderful, the couple were both local to the area and we had previously undertaken their engagement photography session at the near by Wentworth Woodhouse which boasts the longest facade of any house in England, longer than the front of Buckingham Palace no less! Holy Trinity Church in Wentworth Village, South Yorkshire has an absolutely stunning interior, more cathedral than church like, simply, simply stunning and well worth a visit. Following the church service the wedding party moved on to the Rockingham Arms in Wentworth Village while the Bride and Groom went for a short drive around the outskirts of the village to have some quiet time together and to allow us to capture some images of them together before the hurly-burly of the wedding reception began. This really is a special time for a newly married Bride and Groom to have a moment of quiet reflection and to spend some valuable time together. 1/1000; f/4.0; ISO 100; 80.0 mm.